Use our car park map to find parking where you need it. Choose a car park from the list, or click on a pin to see details, including prices and directions. Pay and display - buy your ticket when parking and display it in your vehicle, you'll need change handy when you arrive. All our pay and display car parks are surface car parks, so are out in the open. Pay on return - ideal if you don't know how long you need to park for, or if you don't have cash on you when parking. Includes our multi-storey car parks. On-street pay and display - marked bays in many handy locations, managed by Derbyshire County Council. Please note: you are not able to pay for parking charges by mobile phone or online. We've also listed some of the larger paid-for car parks that are not managed by the council. We haven't included car parking facilities at local retail and leisure parks (such as Ravenside, Wheatbridge, Alma Leisure Park etc) as they are owned and managed by private companies; the council is not responsible for parking notices issued at private car parks. Please note that Ashgate Road car park closed permanently on Wednesday 25 July. Surface car park, pay when parking and display ticket. Managed by Chesterfield Borough Council. Surface car park, pay on exit. Managed by Chesterfield Borough Council. Multi-storey car park, pay on exit. Managed by Chesterfield Borough Council. Public car parks managed by private companies. Privately owned car park, open to the public. Operated by Bank Park Ltd. Private car park, open to the public. Operated by LCP Parking Services Ltd. Opening hours: Monday to Saturday 7am to 8pm, Sunday 9.30am to 4.30pm. Please note: access to this car park is from New Beetwell Street, not via the coach station access off Markham Road. Privately owned multi-storey car park, open to the public. Operated by Vicar Lane Shopping Centre. Station car park, open to the public. Saltergate multi-storey car park has now closed. It will be replaced with a modern multi-million pound 24-hour a day car park. Managed by Britannia Car Parks. Private parking, open to the public. Please note: Ashgate Road car park closed permanently on Wednesday 25 July 2018. Operated by RCP Parking Ltd.
On-street pay and display parking. 3 hours maximum free parking for Blue Badge holders if parked in a designated disabled bay. Maximum stay 4 hours, no return within 4 hours. Find out how to get Blue Badge advance tickets here. Privately owned surface car park, open to the public. Tip: You can move the map around and zoom in to see more detail and street names. You can also switch to a satellite view or drag and drop the Google Pegman onto the map for a street view. Car parks showing this symbol meet the ParkMark standard. 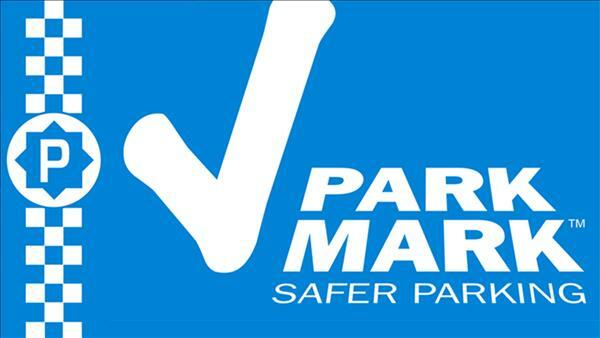 Car parks showing this symbol have CCTV cameras in operation. Privately owned car parks, open to the public. Don't want to use the map? You can find a list of all our car parks here.